Architecture explores new ways of living, investigates new technologies and materials, and strives to ensure that new buildings, towns and landscapes are environmentally sustainable. Architecture combines art, science and technology in the design and construction of buildings and their surroundings within a socio-cultural context. Architects engage themselves in all aspects and stages of the architectural process from design, through planning to construction and management. They are involved in projects of a diverse nature, including the design of domestic, retail, leisure, health, commercial, industrial and educational buildings, towns and urban landscapes. This is a studio and project-led course integrating the three pillars of architectural education; design, technology and the humanities. The first year of study provides a foundation in design and the built environment, appropriate to both the discipline of architecture and associated design courses. The following years of study will become progressively more architecturally focused whilst still allowing and encouraging experimentation and research into associated disciplines as well as developing transferable skills in communication, team working, computer aided design and management. 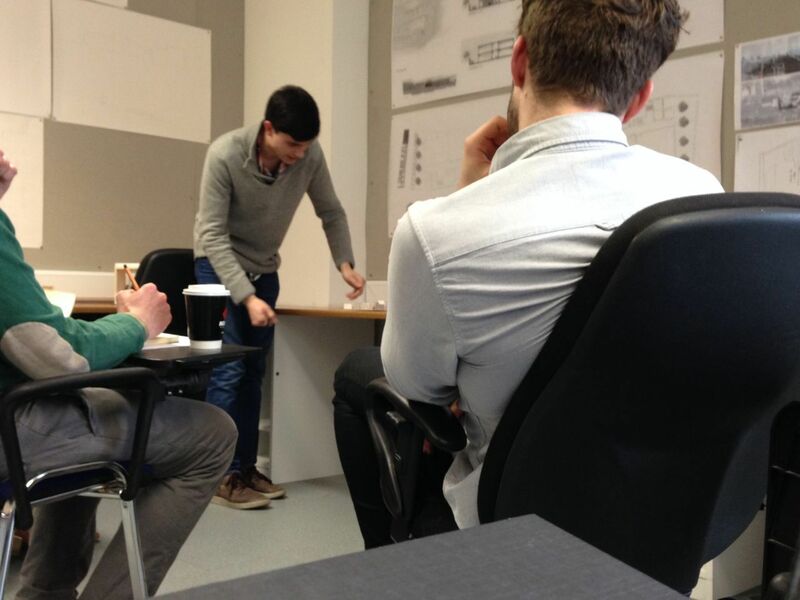 This exciting and innovative Honours Degree programme has been developed with the support of the local architectural profession and in consultation with the Royal Institute of Architects of Ireland (RIAI). Suitably qualified graduates will be eligible to enter a Master’s of Architecture programme, which together with a Certificate in Architectural Professional Practice and Practical Experience, will provide the overall education programme geared towards professional accreditation. How is my time split between CIT and UCC? This is a joint programme between CIT and UCC. The majority of lectures, practicals and studio work are held in the Cork Centre for Architectural Education in Copley Street, Cork City. Some instruction may take place in the CIT campus and the UCC. How much of my time is devoted to studio and project work? 50% is devoted to studio. What kind of personal skills do I need? You need to be a creative, innovative, logical, critical thinker… think outside the box! What is the difference between Architectural Technology and Architecture? Architectural Technology can be described as technical design of the building while Architecture focuses on the creative aspects of spatial and aesthetic design in the total building.